Steve Dannenmann, aka “Stevo,” was born in Baltimore, Maryland on August 15, 1966. He has his own firm where he is the certified public accountant, financial advisor, and mortgage loan officer. He is best known for his second place finish to Joe Hachem in the 2005 World Series of Poker Main Event. Steve Dannenmann said that he is only the fourth best player in his home game, but that didn’t stop Steve Dannenmann from having a great finish at the WSOP. Steve Dannenmann split the $10,000 entry fee to the Main Event with his friend, Jerry Ditzel. The two friends split the $4,250,000 that Steve Dannenmann won. 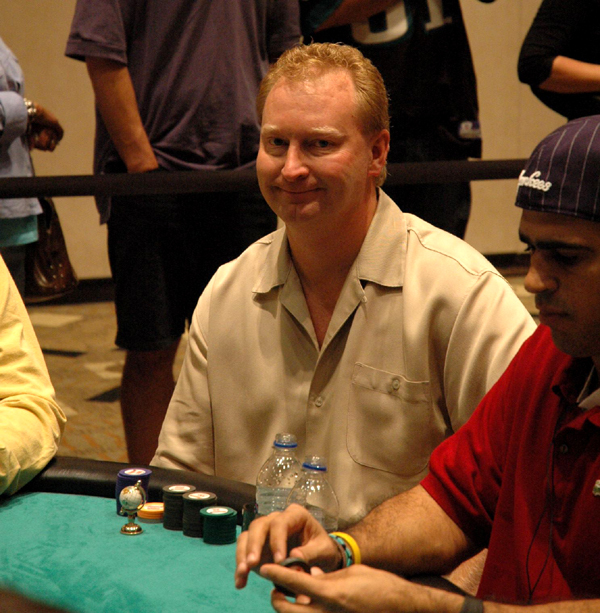 Steve Dannenmann’s second place finish also got him into the 2005 WSOP Tournament of Champions, where he finished 5th. Steve Dannenmann is also a very superstitious person. He didn’t allow his wife to watch him at the WSOP Main Event because she missed the first day and he would have bad luck if anything changed. He also won’t ride in a cab that doesn’t have a number ending in 8. Steve Dannenmann says that despite his poker success, he is not going to quit his job, which he thoroughly enjoys. When asked about the poker players that he respected the most, Steve Dannenmann was quick to name Mike Matusow, Phil Ivey, and Joe Hachem. He also says that No Limit Hold’em is his favorite poker game and when he is not playing, he enjoys tournament fishing and golfing. To date, (January, 2013), Steve Dannenmann has won more than 4.7 million in poker tournaments. Steve Dannenmann lives in Severn, Maryland with his wife and stepson.